Optimist or pessimist | Write about what? ← Creative styles – what’s in fashion now? Modern psychologist have noted that the average human has an optimism bias. Typically normal people live with the illusion that most situations will turn out better than they actually do. Unrealistic positivism seems to be the norm. On the other hand clinically diagnosed depression often results in a darker than actual view of the future; severely depressed people expect more problems than really do occur. It is the mildly to moderately depressed people that tend to have the most realistic view of the future . 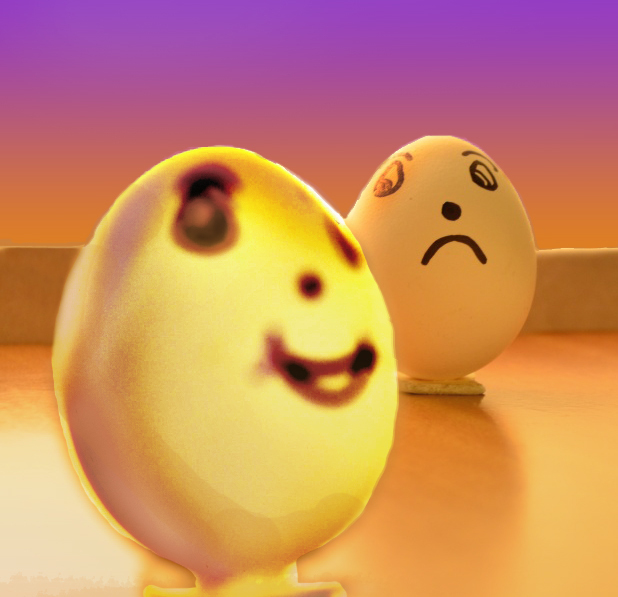 Pessimism may be beneficial for prognosticating, but how does it affect creativity? In the world of the ancient Greeks, the character of authors, artists, and composers was often connected with melancholy, a sense of pervasive sadness. Philosophical pessimism seems rampant among more modern creatives in many countries. Just look at the life and work of Miguel de Cervantes, Fyodor Dostoyevsky, Joseph Conrad, Richard Wagner, Edward Munch, Thomas Mann, Jorge Luis Borges and Albert Camus. However, philosophical pessimism is a view of the human predicament. Negative outcomes for humankind are seen as the result of a hostile universe. This philosophy counters the view that humans are improving. People who are pessimistic about their own lives, or dispositional pessimists, think that prospects look bad personally. In current research, the relationship of optimism and pessimism to creativity depends how the creative population is selected. One way is to test a portion of the general population with a personality inventories based on input of people considered creative by their peers. A recent study used the second method in the form of the Khatena-Torrance Creative Perception Inventory (Khatena & Torrance, 1976) and the   Attributional Style Questionnaire (Seligman, 1990) to determine if people with creative personalities in college showed more more trust in good outcomes or bad outcomes for the future. The student’s perceived creativity according to the inventory results appeared to be positively related to some characteristics of a creative personality such as artistic production, openness to ideas and self-confidence. On the other hand pessimism correlated with lower scores in inquisitiveness. But overall there were not a significant relationship between the creative personality and either optimism or pessimism. Another similar type of study on college students show that both positive and negative emotions contributed to the creative personality, with pessimism enhancing apparent creativity. However, the idea of the melancholic writer, composer or artist continues to appear, and possibly it is the pessimistic view of mankind that drives the most notable creators to the solitary task of producing something that is artistic with a beauty that might, at least temporarily, overcome this baleful outlook. Taylor, S. E. & Brown, J. D. (1988). Illusion and well-being: A social psychological perspective on mental health. Psychological Bulletin, 103, 193—210. Reffel, J. A. (2010, July). Optimism, Pessimism and Creativity. Paper presented at the 11th Asia Pacific Conference on Giftedness, Sydney, Australia. This entry was posted in Creativity and tagged Attributional Style Questionnaire, Khatena-Torrance Creative Perception Inventory, optimism bias, Pessimism, Philosophical pessimism, view of future. Bookmark the permalink.